Eau Claire's social painting experience is hitting the road and turning up at The Oxbow Hotel! 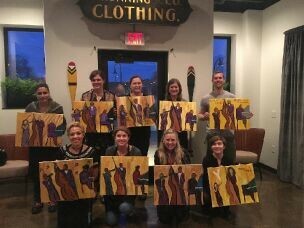 Jazz on Canvas is a 2 to 2.5-hour workshop with friends, a canvas, and excellent local drinks. An instructor will guide you through the painting of your very own masterpiece. This specific event is in celebration of Jazz Fest!